Other than the default Draik avatar which is available to all players automatically, there are four others you can earn. Draik – Hathced, HT Richest, Escape From Meridell Castle and Mutant Draik – Back Off! Draiks represented in the AC include: Cawley Embith, yellow male playing for Altador, Crade Talvos, male wraith playing for Haunted Woods and Luvea Trivon, red male playing for Lost Desert. Surprisingly, there are currently no Draik players on the Meridell or Brightvale teams. Despite being around for quite some time, the Draiks artwork has not gone through any updates or changes save the conversion in year nine. Their original pose had them resting in their long tail with their back feet facing forward, similar to the old pose of the Blumaroo. Both the Brightvale Armoury and the Brightvale Glazier shops are managed by male, blue Draiks. The armoury of Brightvale offers protective and elegant cloths rather than clunky metal armour, and the Glazier shop is where you can pick up the beautiful stain glass windows Brightvale is so known for. Stealthy, Pirate, Christmas, Desert, Robot, Royal Boy and Royal Girl all give Draiks full clothing sets, whereas Island, Halloween and Zombie give two and one clothing item respectivly. With Pirate Draik Eggs and morphing potions having become more affordable, it`s easier than ever to get a Draik and paint them different colours. This male, blue Draik is a commander in the Meridell army. In his spare time, he enjoys playing Round Table Poker. Several paint brush colours give clothing, and the great thing about these sets is their uniqueness. Not two species sets of PB clothing are identical. In Draiks, both Royals and Desert yield beautiful sets of jewelry, and it`s fairly common to paint a Draik one or even several of these colours to get the clothing before painting a new base colour. (This process is called crosspainting). This yellow Draik appeared in the Champions of Meridell plot, he captured Lisha (little sister of Jeran and one of the main characters in the plot) and her friends when they arrived at Meridell Castle. Several countries across Neopia have Draiks in their armies, especially Meridell and Brightvale, and a Draik Guard from Altador appeared in the Faeries Ruin plot. With Meridell being the Draiks homeland, they naturally want to defend the castle and help the townspeople in times of need, and many Draiks also live in the neighboring kingdom Brightvale where they have enlisted in King Hagan`s army. Can the Electric Draik shoot bolts of lightning instead of fire? Similarly to the Acara, Draiks have large ears and quite good hearing. They also have keen eyesight, and the most common eye-colour in the species is red. When this new paint brush colour was released, Draik was second to Aisha in being available in the new, gorgeous shade. When I was taking a poll regarding the newly released paint brush colours on the boards, Draik was voted to second place in the Eventide category, only beaten by Usul. Are your Neofriends fans of Draiks too? Wondering that to buy them for their birthday, or in celebration of Draik Day? Check out my article Gifts for Draik Fans to get some ideas. Just like Scorchios, Draiks are capable of breathing fire. In the New Features way back in Year Four, the Draik was introcuded as the forty-fifth Neopet. 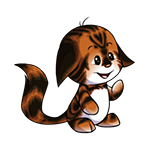 On Draik Day year 11, a glitch in the program used to release Limited Edition Neopets caused a small number of Draiks to be available for creation at the Create A Neopet page. This is NOT supposed to happen, as Draiks are technically a restricted species, meaning they`re never able for creation on their pet day like the Limited Edition species are (such as Cybunny and Jetsam). TNT stated that they would do everything they could to ensure this glitch never occured again. When the Draik species was first released, they were available in batches at the Creation Centre, but this was changed a couple of months later with the release of the Draik Eggs, and morphing potions were also added later. Although the Draik is a restricted species, like the Krawk, it`s still referred to as Limited Edition as that was their original status. To obtain a Draik, a Draik Morphing Potion or Draik Egg is the way to go. There is some uncertainty as to whether or not they`re available through the Secret Lab Ray – look under Z to read more. Being of high rarity, all colours of Draik Eggs are categorized as Gourmet Foods and can in fact be fed to your Neopet. As Draiks are hatched from eggs, young ones are called hatchlings. This species is available in Ice. This particular colour is only available at the Secret Lab for most Neopets, but for Draiks to get this colour they need to hatch from an Ice Draik Egg. The cold never bothered them! Draiks may either be painted Island with the Mystery Island Paint Brush or be hatched from an Island Draik Egg. These two characters appear in the Darkest Faerie video game, they`re both male orange Draiks who work as builders, repairing the Meridell Castle courtyard. A male, blue Draik appearing in the game NeoQuest II. He`s a babaa farmer that lives in the village of Trestin. Who says knighthood is just for guys? With the Lady Draik Knight outfit, your female Draik will be ready to defend Meridell and defeat any enemy that crosses her path. The outfit consists of six pieces: Wig and Helm, Upper Armour, Lower Armour, Boots, Sword and Shield. It`s an impressive ensemble with gold decorations adorned with pink gems, and the sword even has a mystical blue glow. Why not grab one or both of these yummy treats to celebrate Draik Day? Despite how it sounds, this item is a defence weapon, not a wearable. All types of Draiks can use it to protect themselves in battle. The homeland of the Draik is the Kingdom of Meridell, which was opened to the public of Neopia the same week this species was introduced. In Meridell you can also find the Draik`s Nest where you can hatch your Draik Egg, and if you`re very lucky, you might be able to restock a Draik Egg at the Merifoods shop. Another Draik from NQ II, this one is a senior elder in the town of Lakeside. The Orange Draik Stamp was given out as a prize for redeeming keys in Key Quest, and so it`s clogging the corners of many a SDB. The mischievous Draik seen clutching a pair of NP bags is also featured on the HT Richest avatar. It`s written Draik, but spoken "drake." Draiks aren`t known to be very chatty, they`re rather thoughtful. When browsing the Neopets site, you`ve most likely come across a random event featuring a red Draik flying overhead, heading towards Mystery Island. This character is a red, female Draik which appears in the NeoQuest II game. She`s from the Lost Desert and has moved outside of Sahkmet City where she was trapped in a sandstorm. This evil monster Draik appeared in NeoQuest II as a major villain. 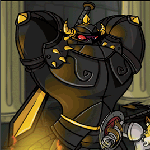 In the game, he beat Queen Fyora in battle and sealed her away in her castle. He was defeated by Rohan and his crew (the main characters of the game) after declaring himself King of Faerieland. Swordsmaster Talek is a Maraquan Draik that appeared in the Curse of Maraqua plot. He is the swordsmaster of Maraqua City and the one responsible for teaching weapon technique to the soldiers. UC Draiks include Darigan, Faerie, Royal Boy, Royal Girl, Plushie and Tyrannian. Faerie, Plushie and both Royals seem to be the most popular. Maraquan and Mutant were not grandfathered (preserved in UC versions) as their new versions are very close to the originals. If you`ve played the game Escape from Meridell Castle, you should be familiar with this character. He`s a former knight accused of a crime he didn`t commit and thrown in the dungeons of Meridell Castle. In the game you must help Sir Valrigard escape. This famous wheel located in Brightvale is run by a green male draik named Miles. For 400 Nps you can spin it once daily. The grand prize is wise words from King Hagan himself! As previously mentioned, Crade Talvos is a Wraith Draik playing for the Haunted Woods AC Team. It`s worth noting that he is the first Wraith Neopet to play in the Altador Cup! This adjective decribes a friendly relationship between host and guest. When you enter a Draik`s NeoHome, rest assured that you`ll be treated with kindness and hospitality. This Draik appears on a TCG (Draik Sentinel) where he sits amongst gargoyles watching over Meridell Castle and guarding it from intruders. "Yiko liked keeping watch, but couldn`t understand why the other sentinels never said anything." 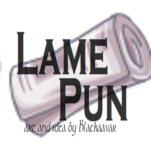 He also appears on a Neopets shop blog which bears the text "Beware The Guardian! (If he`s awake)." Can you get a Draik by zapping them in the Secret Laboratory? I have consulted a few different guides on this issue, and the answers given differ. Most official fan-sites claims it`s not possible, whereas other guides state it can be done, but it`s extremely rare. Both Draik and Krawk are restricted species, which means they`re not available through creation like all the other species, including the Limited Edition ones. My guess is that it can`t be done, and you`re better off buying a Draik Egg or MP than spending months zapping Neopets at the Lab Ray. An orange Draik from Altador that appears in the Darkest Faerie video game. Here ends this edition of Neopets A to Z, I hope you enjoyed it! Feel free to Neomail me with comments, questions or suggestions.